I created this grilled cheese over a week ago, but have been busy traveling to NY for business and then trying to recover. Only now have I had a second to sit down and write down so please enjoy. 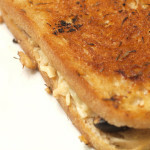 Prior to starting though, I must say, I need to mention grilled cheese sandwich a lot more in my blog titles and in the content. (Honestly, my blog titles need to be a lot more creative and engaging but that is a whole different story.) I want people to find me via Google, right? Right. 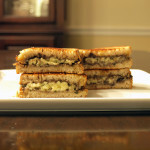 Therefore, if I don’t mention grilled cheese sandwich that often, how will Google, or Mr. Cook looking for an awesome grilled cheese sandwich located within this blog’s pages? They won’t. So I will now be mentioning grilled cheese sandwich a bit more. Please let me know if I over do it. I have a tendency to do that. 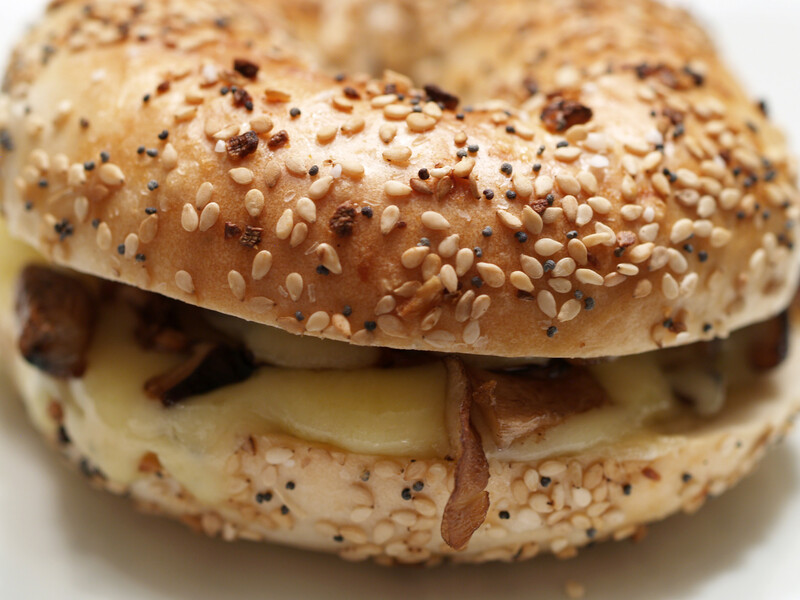 Now onto the sandwich, featuring an everything bagel and shiitake mushrooms. Please keep in mind, I ate this grilled cheese over a week ago so my words may be few and far between. 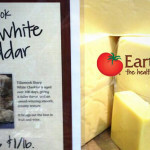 Oddly enough, there isn’t much information regarding the debate over white vs. yellow cheddar cheese. I am somewhat disappointed. Either way, cheddar cheese is one of my favorite cheeses. I actually thought white cheddar cheese was my favorite but looks like that little adjective means absolutely nothing. Therefore, I must just say cheddar cheese is awesome and this particular type was no different. Earlier in the day the folks and I were out at a local deli, having an awesome lunch. Actually, it was more of brunch as everyone ordered breakfast, with my dad and I both ordering an everything bagel. We both loved our meals but really enjoyed our bagels as well and made that thought known to the table. Then, when we all were walking out, mom and I had the great idea of buying a few extra bagels to use for that nights Sunday Dinner, this nights grilled cheese sandwich. It would be the featured ingredient. It was a great idea. 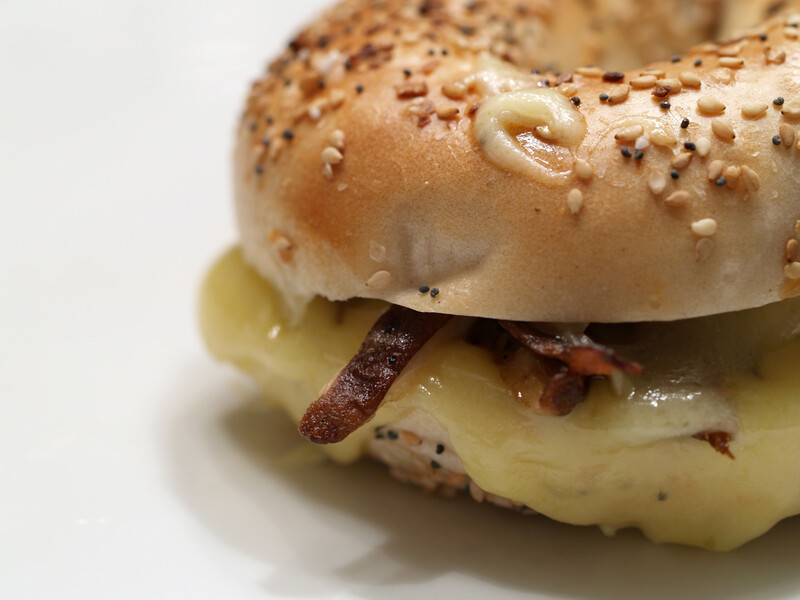 Bagels in general are awesome but this bagel, an everything bagel, was very yummy. 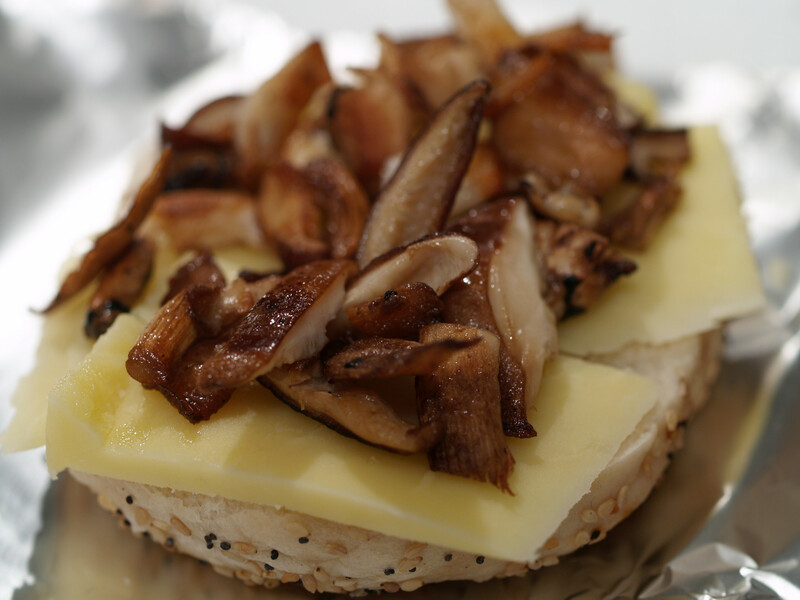 The only other ingredient in this grilled cheese sandwich was shiitake mushrooms. I figure we have used “normal mushrooms” in the past so why not spice it up? Use something a bit different? That is why I went with the shiitake mushrooms. All I did was saute the shiitake mushrooms in a pan with some salt and olive oil until they began to soften. That was really it. Nothing more. Nothing less. It was perfect in my opinion. The mushrooms smelled and tasted fantastic. They actually had a buttery texture/taste which was a nice surprise. This grilled cheese sandwich was good but it was not great. My main complaint was how the cheese and mushrooms played together. 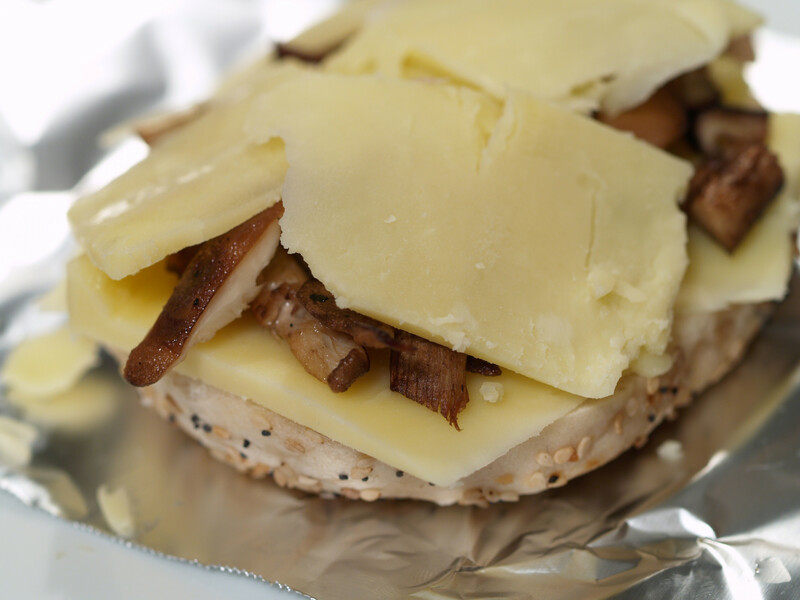 I either did not include enough mushrooms in the sandwich or the cheese was just too overpowering, making the mushrooms all but invisible. 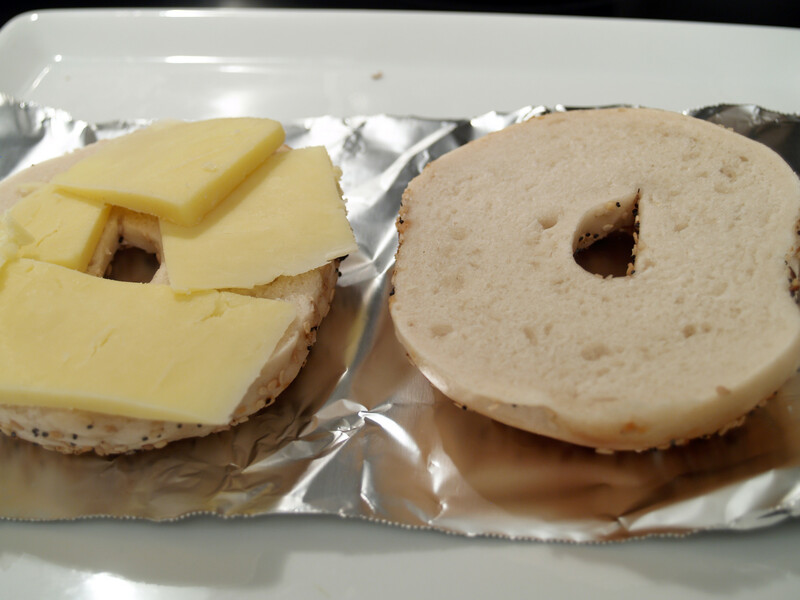 However, I loved the everything bagel as the piece holding the sandwich together. If I were to create this grilled cheese again, I would choose a more mild cheese that would allow the mushrooms more room to breathe. 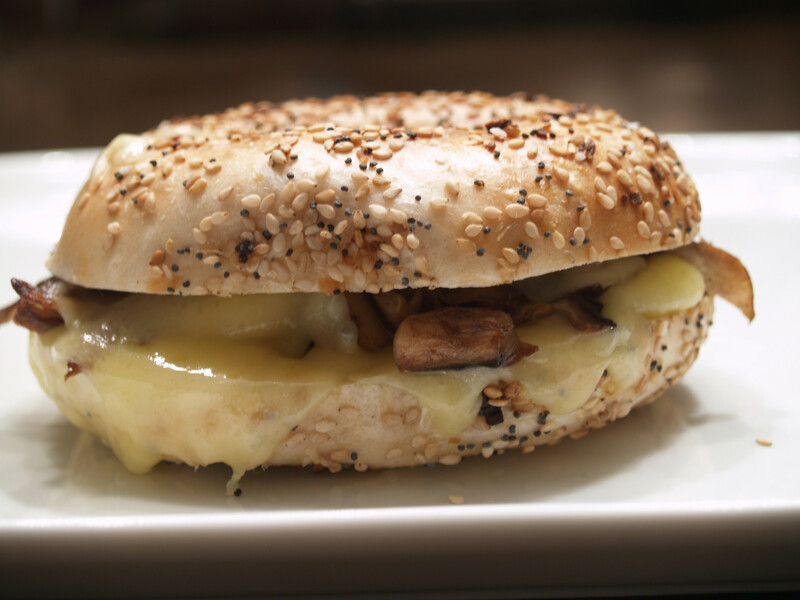 Posted in Grilled Cheese and tagged A Minus B Plus, bagel, baked, cheddar, mushrooms, shiitake mushrooms, white cheddar. That sounds like my kind of grilled cheese! 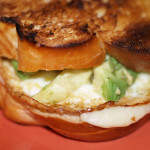 I love to do this as well but with an asiago cheese bagel from Panera! 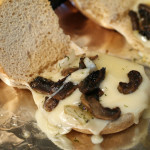 The sharp baked asiago on top and creamy gooey cheese in the middle is awesome! 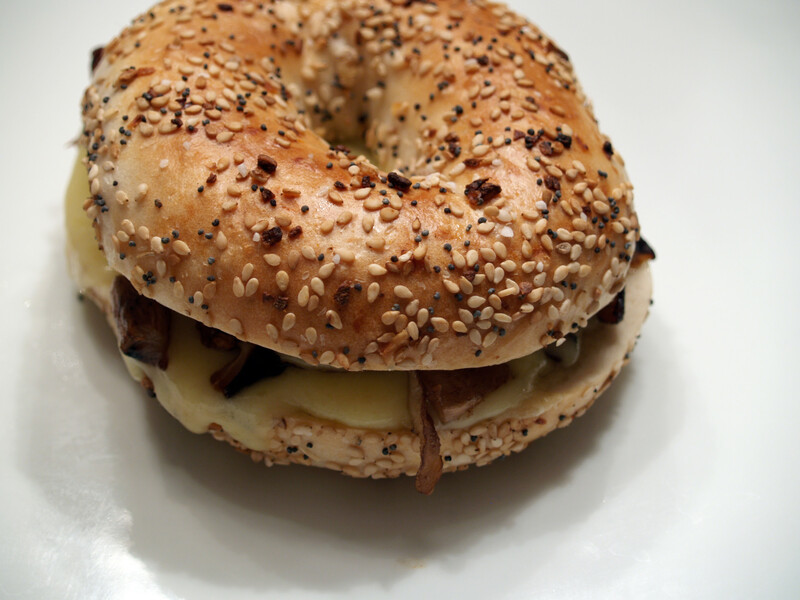 I love hot sandwiches made with bagels. I’m forever broiling something for warm, gooey bagel sandwiches.